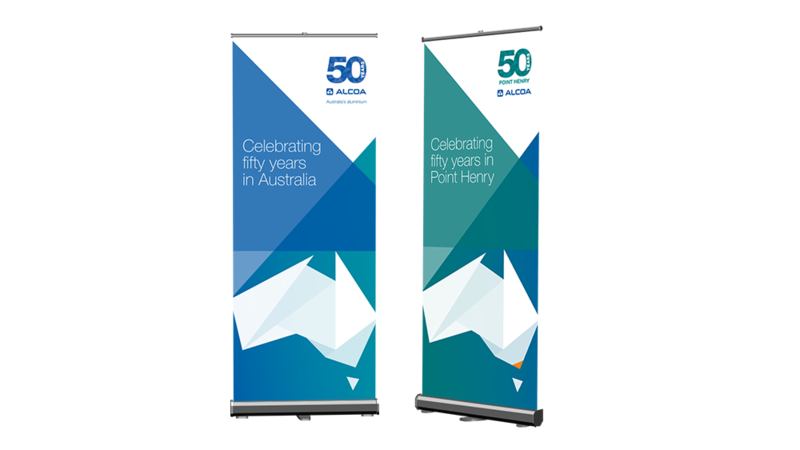 Alcoa has engaged Platform on a number of projects including Alcoa’s 50th Year of Australian Operations, 2013 Sculpture by the Sea, pull-up banners and posters, utilising the Platform creative team’s graphic design services. 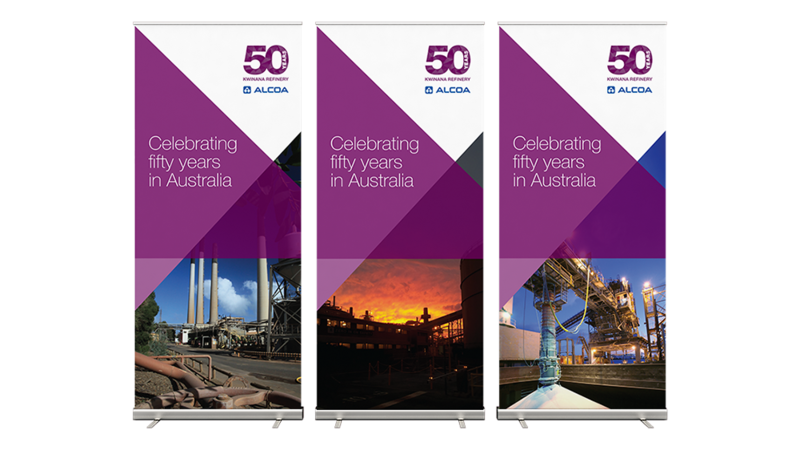 The Platform design team worked with Alcoa to design a bespoke 50th anniversary brand identity celebrating Alcoa’s 50th year of Australian operations. Platform designed a number of initial concepts and presented Alcoa with four versions of the highly-recognised 125 year-old logo. The chosen logo was rolled out across Alcoa’s sites in Australia through a number of channels including pull-up banners, outdoor banners, posters, the website and intranet, recruitment advertisements, e-newsletters and email templates and signatures. 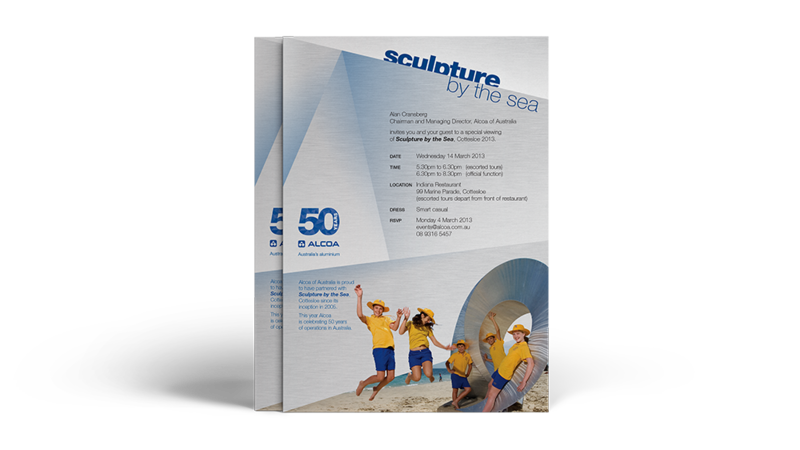 Platform’s design team also provided support to Alcoa who was the major partner of the 2013 Sculpture by the Sea. Platform was responsible for designing and coordinating print production of invitations for Alcoa’s VIP launch function. In addition, Platform has designed pull-up banners and posters for Alcoa’s community volunteer programs including Bravo! and Alcoans Coming Together in Our Neighbourhoods (ACTION), as well as for Alcoa’s successful farmlands business, Alcoa Farmlands. Most recently, Platform has provided design and project management support to Alcoa for their 2011-2012 Sustainability Report. The design team used their creative expertise to produce a professional, informative and visually enticing report that embodies Alcoa’s values and commitment to economic, social and environmental sustainability.